Hold on there, Fraser. I’m sure there are clumps of Dark Matter (DM), but isn’t it a bit of a stretch to call them galaxies, at least as we know them? Baryonic Matter (BM) galaxies consist of super-massive black holes, stellar black holes, neutron stars of various types, stars, planets, gas and dust, all comprised of a zoo of sub-atomic particles, and powered by fusion reactions. Unless DM is comprised of analogs of BM particles, I would find it difficult to believe that clumps of DM meet the definition of a “galaxy”. The best idea of what DM is comprised of is Weakly Interactive Massive Particle (WIMP), but no one has proposed that a star comprised of WIMPs is capable of fusion. On the other hand, since we know that DM is sensitive to gravity, it may follow that small clumps of DM could compress to an object of stellar mass. 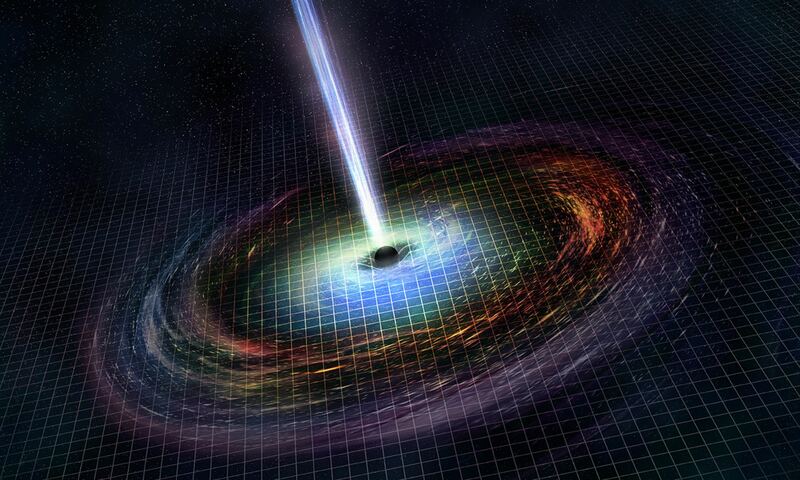 But, without the outward pressure of fusion, there might not be anything to prevent creation of a DM black hole! This opens up a host of questions. Could such an object “swallow” BM? Is there any way to distinguish a DM black hole from an inactive BM black hole? I started this comment with the intent of arguing that a DM galaxy is patently absurd. I have ended up with the realization it may not be absurd at all. However, if DM galaxies exist, they are very weird beasts, indeed. I liked the presentation, well done, good editing. A couple of things to consider mentioning – one is the issue that we don’t see dark matter within the solar system, mainly because there is so much normal matter by comparison. 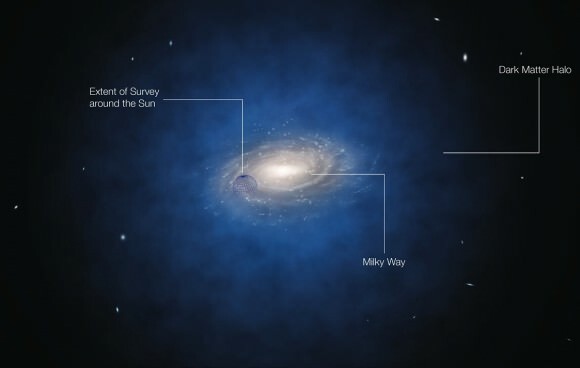 That is – normal, galactic space is much less dense than the solar system, so the thin cloud of DM is not noticeable here, but is obvious in galactic space. This explains the weirdness that DM was noticed in the abnormal rotation of galaxies, but not in the solar system. The other thing is that DM would seem to not clump as much as regular matter, and here I haven’t found a good explanation. If DM is made of massive particles, it really ought to be affected by gravity 🙂 so why does it not fall more readily into the centre of galaxies ? Why is the DM more located in a cloud around the galaxy rather than in a blob in the centre ? To try to narrow the concept of a “dark matter galaxy” down a bit more – does it make sense to talk about a “dark matter star?” Or is talking about a “dark matter galaxy” really just talking about a lump or collection of dark matter that is similar in size and/or mass to a galaxy?